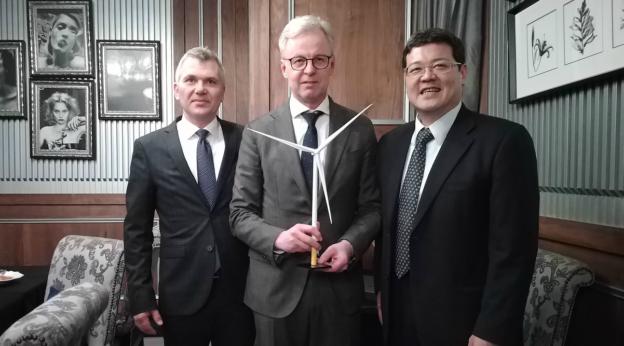 Copenhagen Infrastructure Partners (CIP) has urged the Taiwanese government to avoid slashing wholesale rate for offshore wind power, warning that it may cost Taiwan the opportunity to develop the industry, one step ahead of rivals. CIP noted that higher wholesale rate is an incentive to induce foreign firms investing in Taiwan and fostering the development of the indigenous industry, so that local firms can tap the abundant experience of foreign firms, notably European ones which have engaged in the field for over 30 years. CIP noted that many Taiwanese people have various misunderstanding about offshore wind power, such as mere 10 years of product life for wind turbine, which is actually 25 years, as attested by international certifications, according to Hsu Cheng-ying, chief financial officer of CIP Taiwan. Hsu stressed that different from PV power, wind turbine's power generation will not drop year by year. Dismissing the concern of many local people about capability of wind turbines to withstand the impact of typhoon and earthquake, Hsu pointed out that turbines sent to Taiwan will be able to operate even amid typhoon, adding that the turbine will cease operation automatically, should the impact of typhoon is beyond its endurance, thanks to automatic wind-speed detection device of the turbines. The concern over the capability of wind turbines to withstand Taiwan's hot weather in summertime is also unfounded, as an accessory cooling system would ensure their normal operation even under over 30 Celsius degrees of temperature, according to Hsu. Wang Hsi-hsin, executive vice president of China Steel, attributed higher wholesale rate for wind power, compared to the European level, to the upfront cost for fostering an emerging industry from scratch, including the cost for developing anti-earthquake, anti-wind, and anti-high temperature technologies. Wang noted that development of the indigenous industry can help the nation shed the reliance on imported fuel and enable it to export expertise in this field in the future. Overly low wholesale rate would dampen investment returns rates for developers and suppliers, shrinking investment scale and slowing down wind-turbine installation, as well as the development of the indigenous industry. In addition, insufficient upfront capital would make developers unable to install premium wind turbines capable of coping with various natural disasters and geological requirements of Taiwan. Whatever the wholesale rates, CIP expressed that it would formulate countermeasures, instead of exiting the game immediately.